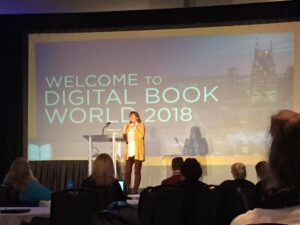 ALLi Director Orna Ross reports back from the Digital Book World 2018 conference, which took place in Nashville, Tennessee, earlier this month, on the top takeaways for independent Authors at DBW 2018. When I attend a conference, I always learn so much and come away with so many ideas, but experience has taught me to focus in on three actionable takeaways that get turned into intentions for the following months. For DBW 2018, those takeaways were around voice technology, audiobooks, and feedback on our Self-Publishing 3.0 campaign about what it takes to run a successful indie author business. My overall conclusion was how great is to have a conference that seamlessly integrated indie authors into the canvas of contemporary publishing, rather than consigning us to a ghetto in the basement, or inexplicably removing us altogether from its programming. (Yes BookExpo (formerly BEA), we’re looking at you). And to have a conference producer who truly cares about having content that reflects the opportunities, tools, techniques and concerns of contemporary publishing . This is what a digital book conference should do and what DBW has not really done, until now. ALLi has attended DBW in NYC for many years and watched it become a little tired, with a “pay to play” model that saw much of the sessions plugging services and delivering predictable content. In 2017, it was acquired by Score Publishing who put together a different model, around “uniting publishing insight with technological vision”. It was interesting to observe the switch in emphasis from old to new publishing, from the establishment to the up-and-coming. This move from established centralism to experimental outreach was symbolized by the conference moving from NYC to Nashville. “When you have tech giants like Amazon and Intel on the same program as publishing stalwarts like Simon & Schuster and Penguin Random House, you end up with insights and guidance you won’t find anywhere else,” says Bradley Metrock, Score CEO. And a program as exciting and as varied as this. 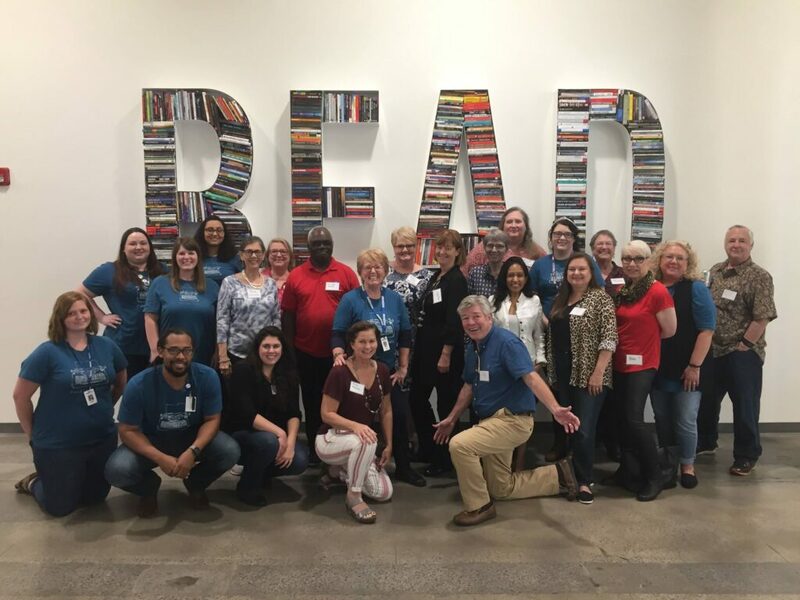 ALLi was impressed by the program focus that Metrock explained to us last April at London Book Fair and decided to jump in and partner with the conference to bring a significant author presence to Nashville this year. DBW offered a very generous discount to our members and other independent authors and provided a scholarship (conference ticket and lodgings) for three authors. We also took the opportunity while in Nashville to tour the IngramSpark print-on-demand facility where our books are made (see below). To find out the developments that authors need to know about. And to introduce our Self-Publishing 3.0 campaign in a plenary session and workshop and in many informal discussions with various publishing people. 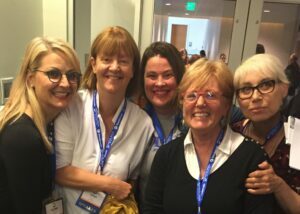 For those who couldn’t join us, the highlights were brought to indie authors everywhere as part of our Fall Self-Publishing Advice Conference. Publishers right now are trying to work out how to best handle a world where people interact with computers with their voice first, and keyboards and screens second. This year will see 56.3 million smart speakers sold and by 2020, it’s predicted that 75% of homes will have smart speakers. This change in how we engage with our computers is being led by Amazon, with Google coming up fast from behind. What it means for writers and publishers formed the basis of a fascinating workshop, led by Paul Cutsinger (Amazon’s Alexa and Echo), to which we brought our laptops and in a hands-on session learned how to create stories, including interactive fiction (which is again on the rise), and how to get our podcasts and blogs onto Alexa. A number of other sessions focused on voice, a particular interest of Metrock, who also runs This Week in Voice Podcast. As most of us know, audiobooks are huge right now, with growth of more than 20% year on year in most English-speaking territories.Indie authors need to work out how to take advantage of this growth. and lots of people in the publishing space are thinking about discoverability and marketing in audio. ALLi was predicting this trend five years ago (Enterprise Advisor Joanna Penn was particularly keen) and those authors who were in early, learning how to market their audio ahead of this boom are doing best right now. ALLi’s theme for the conference was: True Independence for Authors Is Commercial and Creative. Authors who rely solely on trade publishers, or vanity services, or even a single good self-publishing service are not truly independent. Our main message was about growing our independence by building sustainable author businesses. We call this Self-publishing 3.0. You can hear the talk here, explaining how and why should do this. The audio is a little scratchy at the beginning, as it was recorded live, but it gets better a little way in. And at a workshop, Robin Cutler of IngramSpark and I worked with a smaller band of authors, going deeply into how to do this with digital ebooks and print books. Register for an online version of this workshop here. Another addition to the conference is an ambitious awards program. We were thrilled to see ALLi Advisor Joanna Penn win “Publishing Commentator of the Year” and Partner Member Publica win “Best Use of Blockchain in Publishing Technology“. You can see the full awards finalist line-up here. These are names of companies and people to watch in publishing, and follow on social media, if you are interested in how indie authors fit into the wider publishing ecosystem and in some of the digital opportunities that are unfolding for authors. Being in Nashville provided a good opportunity to visit IngramSpark as the Ingram head office is there, along with its biggest and most advanced print factory. Seeing where and how our print books are made is quite an experience, not least watching more than 1,200 books an hour roll off the presses. Top takeaway is to keep your book size small. If they can fit three across on the paper, rather than two, it makes a big difference, as does choosing standard sizes. More about the tour here. As well as super-generous hospitality, we also had loads of great education on the day. 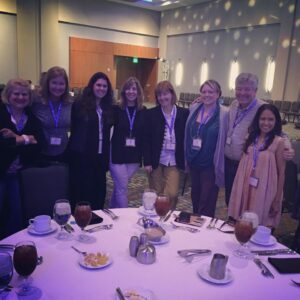 More highlights from DBW Nashville and lots of other up-to-the minute author education here in our Self-publishing Advice Conference. The sessions will remain public until October 31st, at which point they will be accessible only to ALLi members. We know that a lot of you were unable to travel to Nashville this year because you heard about the event too late. 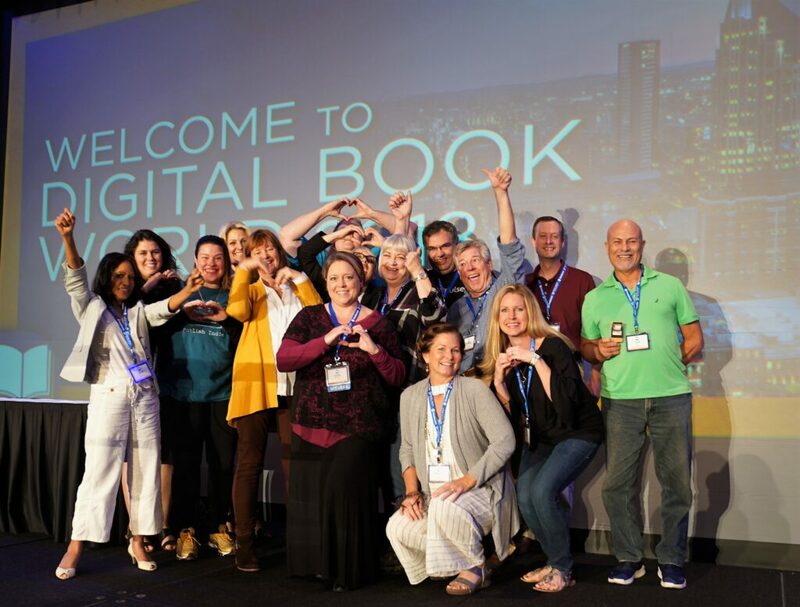 If you’d like to join us next year, Digital Book World will be offering ALLi members a hugely generous author discount again. And again offering scholarship places to cover board and lodgings and free conference registration to five lucky ALLi members. What emerged most clearly from #DBW18 is that the publishers who find success are those who forge the most direct, imaginative and humane connections with readers and build sustainable business across a variety of outlets. Author-publishers have an advantage over other publishers here. As confidence grows in our community, it’s time for us to think about how we can best use that opportunity. OVER TO YOU If you attended DigitalBookWorld this year, feel free to add your takeaways in the comments box. Watch popular NBA Live 19 live streams on Twitch! Super Bowl 2019 is the event of NFL in United States. Thanks for sharing the highlights with us, Orna! Good luck!